After creating Nelio, we decided to offer the software we were going to develop (the WordPress plugins) as a service (SaaS). This is a model of software licensing and delivery that instead of distributing the software via a USB stick or a CD, or any other form of download, it is licensed on a subscription basis and delivered through the internet. And that’s how we’re offering our Nelio A/B Testing and Nelio Content services. The system or applications necessary for the management of subscriptions and payments to said service. Assuming you don’t intend to develop your own subscription billing platform (believe me, you don’t want to 😥), in this post I’d like to share with you several solutions from which you can choose to manage subscriptions. But first, let me tell you what features you should consider when deciding what solution is the best for you. Have multiple automatic payment options using different payment methods. Location of your company and your buyers: Be aware that not all platforms operate in all countries. Moreover, if your buyers are from only one country, surely it will be totally irrelevant for the platform to offer different currencies for payment (unless it’s a country with more than one currency). Number of products: It’s not the same to offer a single product or many. In the latter case, it should be easy to add products to the platform. Price of products: Prices can be fixed or include a variable part. Some platforms allow you to create prices with variable parts depending on usage, etc. Plan changes: Do you want the buyers to change their plan easily at any time? If so, make sure the platform allows easy upgrading and downgrading mechanisms. Offers: Do you need to create a wide variety of coupons or create cross-selling between products? Keep that in mind. When does the platform pay you? : In one day? 7 days? Is there a minimum quantity for the transfer? Affiliation: Check if they integrate affiliation programs so that those who reference you can make a profit. Integration on your website: When the buyer is going to pay, do you need the payment to look like a pop-up on your website? Do you mind if they go to another website to make the payment? Analytical: What are the minimum KPIs reports you need? Flexibility: To what extent can the solution given by the platform be modified to fit your customized needs? Are you willing to offer a personalization service? Integration with third parties: Check what possibilities you have to integrate it with other platforms, such as MailChimp, etc. And surely you have other specific requirements for your store that I haven’t mentioned … As you can see, it’s not that simple. It’s important that you make your list of requirements to decide on the option that best suits your needs. Now let’s look at some of the solutions that you have available today. I’ve included only those that have the prices published on their website (because yes, using them carries a cost 😌). 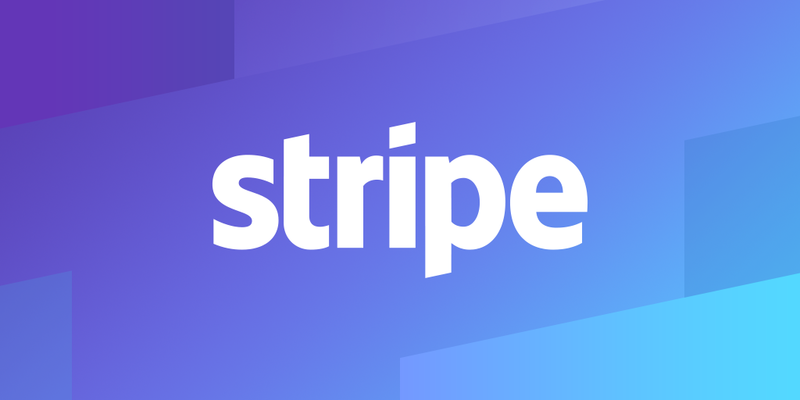 Stripe is the flagship product for developers as it provides a set of unified APIs and tools that let you create customized subscription payments that fit your business’ needs. Their prices (that vary depending on the country) are also very interesting: in the USA the price is 2.9% of revenues + 30 ¢ per transaction. So, if you invoice $ 10,000 per month, the Stripe cost will be $ 290. This platform is very useful when you have good computer technicians in your team who will handle and customize what you may need. The documentation of their API is very complete. It’s my partner Toni’s favorite choice. Chargebee includes billing, payments and subscriptions and offers four different plans. The Standard plan allows 200 invoices and three users for $ 99 per month. It also charges 50 ¢ for each additional invoice. Only one payment gateway is allowed. The Pro plan allows 600 monthly bills for $ 199 per month with a charge of 30 ¢ per additional bill. It includes 25 users, unlimited payment gateways and sophisticated SaaS metrics. The Enterprise offer includes all professional features with unlimited users for $ 399 per month. All plans include claims for automatic payments. Therefore, if your bill is of $ 10,000 every month, and you’ve generated 100 invoices with an average price per invoice of $ 100, the total price of Chargebee will only be of $ 99. But if you’ve generated 1,000 bills with an average price per invoice of $ 10, the total price of Chargebee will be $ 319 ($ 199 + $ 120). FastSpring is an eCommerce platform similar to an AppStore. That is, FastSpring, as your reseller, is a platform that invoices your customers directly so that you don’t have to take care of integrating them with any payment gateway. You just have to subscribe to their platform (for free), define a store, insert your products and decide how you want to integrate the payment with your website (you may consider FastSpring API, Store Builder Library, Extensions Tab and Webhooks). From here, FastSpring takes care of everything; it supports multiple currencies, collects and manages international taxes, manages refunds, etc. The price is 5.9% of revenues + 95 ¢ per transaction or 8.9% of revenues with a minimum rate of 75 ¢. Therefore, if you do the calculations you will see that if the price of your subscription is higher than $ 15 you are interested in opting for the first option, but if it is lower, the second one is better. So, if you bill $ 10,000 a month and you’ve generated 100 bills with an average invoice price of $ 100, the total price of FastSpring will be $ 685 ($ 590 + $ 95). But if you’ve generated 1000 invoices with an average price per invoice of $ 10, the total price of FastSpring will be $ 890. Freemius is an eCommerce platform that specializes in WordPress plugins and themes monetization and marketing automation. Quite similar to FastSpring, Freemius acts as your reseller, which means that it handles the billing, payments, subscriptions, cart abandonment recovery, dunning, and invoices directly with your customers. It takes minutes to start selling, and you don’t even have to set up a payment gateway. With all its great value it doesn’t come cheap. The price is 7% of revenues + gateway fees (they use PayPal and Stripe). So, if you bill $10,000, the total cost of Freemius will be $700 + ~$300 for gateway fees. Freemius offers tons of additional features for free, so it’s one of the top options when monetizing a plugin or a theme. Chargify is another platform that was born with the objective of offering a specialized service in the management of recurring payments including a great variety of add-ons, different rates of use, coupons and discounts. It has 4 plans: Basic (up to 500 paying customers) for $ 149 / month + 0.69 / cc, Plus (up to 500 customers, billing, analytics and integration with third parties) for $ 199 / month + 0.69 / cc, Pro Up to 2,000 customers) for $ 499 / month + 0.49 / cc and Enterprise (for more than 3,000 customers) for a customized price. So, if you bill $ 10,000 per month, and you’ve generated 100 invoices (you have 100 customers) with an average price per invoice of $ 100, the total price of Chargify will be only $ 218 ($ 149 + $ 69). But if you’ve generated 1,000 bills with an average price per invoice of $ 10, the total price of Chargify will be $ 989 ($ 499 + $ 490). Recurly is another tool for managing recurring payments including invoice management, several payment gateways, integration with third parties, etc. It has three plans: Core Plan for $ 99 per month + 1.29% of revenue + 10 ¢ per transaction for small businesses that only want to bill recurrently; Professional Plan for $ 299 per month + 1.29% of revenue + 10 ¢ per transaction and also includes international currency, offline payments, advanced analytics and integration with Salesforce; And the Enterprise Plan with a price customized to the needs of the client. So, back to our calculations, if you bill $ 10,000 a month, and you’ve generated 100 invoices (you have 100 clients) with an average price per invoice of $ 100, the total price of Recurly with the Professional Plan will be $ 438 ($ 299 + $ 129 + $ 10 ). But if you’ve generated 1,000 invoices with an average price per invoice of $ 10, the total price of Recurly will be $ 528 ($ 299 + $ 129 + $ 100). And I left WooCommerce Subscriptions for the end. 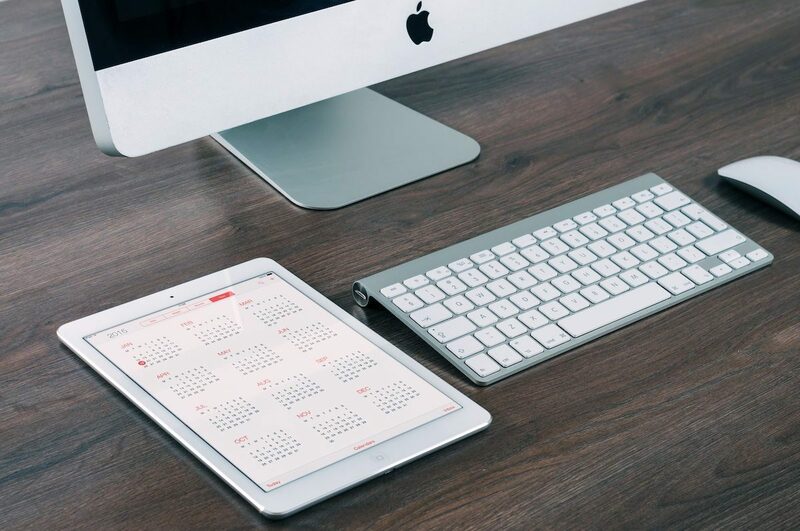 If you have a WordPress website with WooCommerce, you can also have recurring payments with the extension of WooCommerce Subscriptions, which is basically a plugin designed for membership or affiliation sites and where you can define to make payments in recurring periods. The plugin just adds the functionality of recurrence, since the rest of functions of collections, invoices, integration with payment gateways, etc., are included in WooCommerce itself. The price is $ 199 for a website. As I showed before, the prices are quite different among platforms, but if you analyze the details of each one, you’ll realize they have quite different features. Although it may surprise you because it is one of the most expensive options mentioned above, we decided to use FastSpring as our platform for the subscriptions to Nelio Content and Nelio A/B Testing. David and Toni, who are very geek, would possibly have preferred Stripe because of its flexibility and documentation of the APIs, but FastSpring in our case offered us some advantages that were decisive. On one hand, even though its interface could be improved, creating products in the store, defining prices, coupons, integrating it with your store, etc., is quite fast and easy. It allows you to create a variety of coupons, upgrade and downgrade to any plan and automatically prorate payment prices. It also allows us to charge with any currency and notify our clients in their language. Furthermore, it provides us with sufficiently complete KPIs, so that we didn’t have to create other additional metrics to keep track of our business. In short, we covered all our needs well, but in particular, there was an advantage that was decisive. As you know, we sell software subscriptions (Nelio A/B Testing and Nelio Content) and we’re located in Barcelona. Since January 1, 2015, the European legislation requires that any sale of a software to a private individual or company without a European Tax Identification Number is taxed the VAT of the customer’s country. Each quarter you should declare the taxes in the “One-Stop Shop MOSS”. I’m not going to go into more detail but it’s quite a complicated process. In our case, by being FastSpring a reseller, we operate as if we had a single B2B customer, FastSpring. And thus, we can forget about MOSS and different international taxes. With this, the whole account management of the company is simplified (otherwise, we would need to hire a person dedicated exclusively to this). By opting for FastSpring, we clearly saved both money and headaches. Featured image by William Even.